There’s a Snake in Singapore! I know, I’ve abandoned my blog! But don’t despair, I’m out and about in Singapore collecting plenty of material to share over the next couple of weeks. Combined with flat hunting (any tips on which district is best? ), exploring Hawker Centres and melting in the heat, my first impressions of Singapore are fantastic – I know we’re going to have a great time here. Above is the large snake running through Chinatown, preparing for next week’s New Year celebrations! 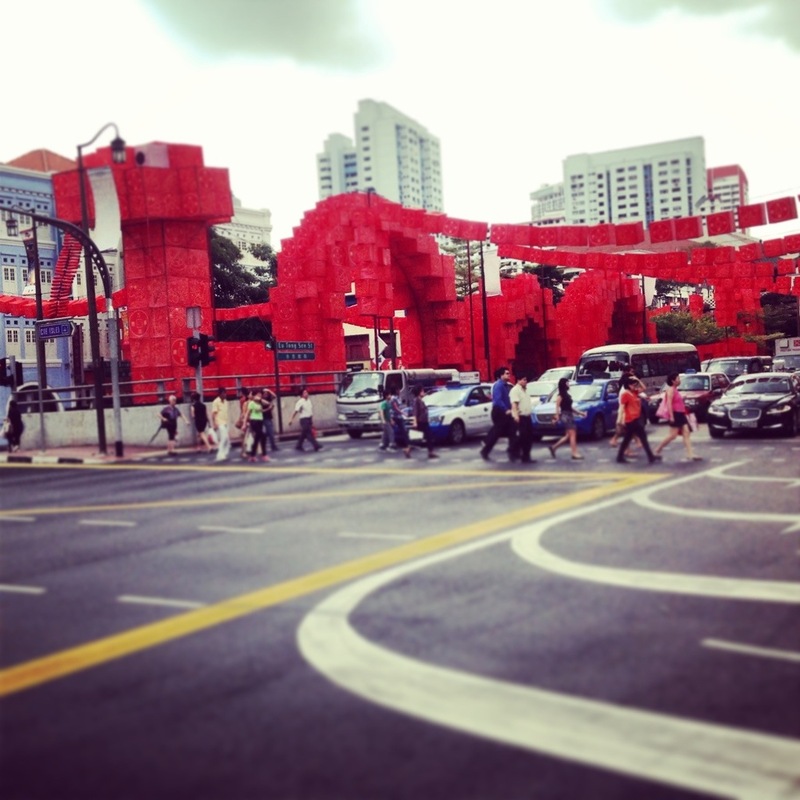 This entry was posted in Singapore and tagged Chinese New Year, review, Singapore, snake, travel by singapuresling. Bookmark the permalink.